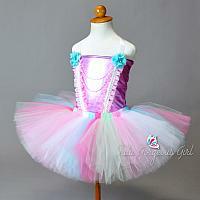 Enchanting light pink and aqua unicorn princess birthday tutu, top and headband. 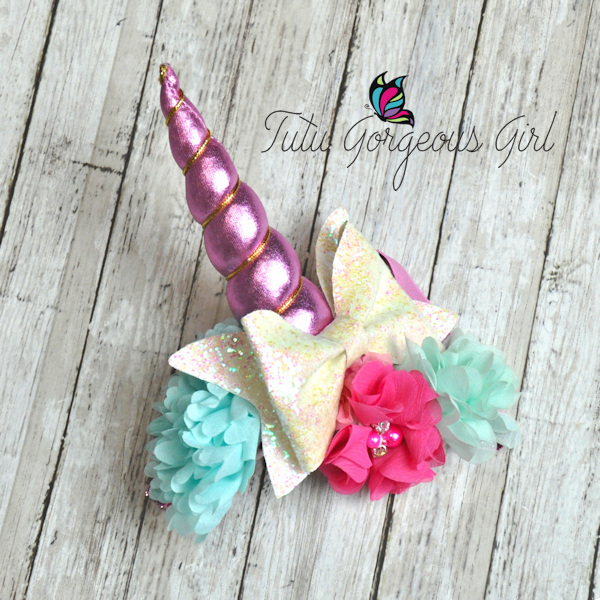 The Unicorn Princess tutu, top, and optional headband are perfect for your little girl's Halloween unicorn costume, unicorn birthday outfit, unicorn portrait props or pink fairy princess costume. 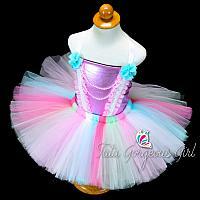 This set includes the tutu, top and optional unicorn horn headband. All of our tutus are sewn ensuring a truly beautiful, handcrafted product that you and your little girl will love! All tutus are made with 8 or more, tightly gathered, layers of tulle for ultimate fullness, and feature a quality non roll elastic waistband. We do not tie or knot our tutus. 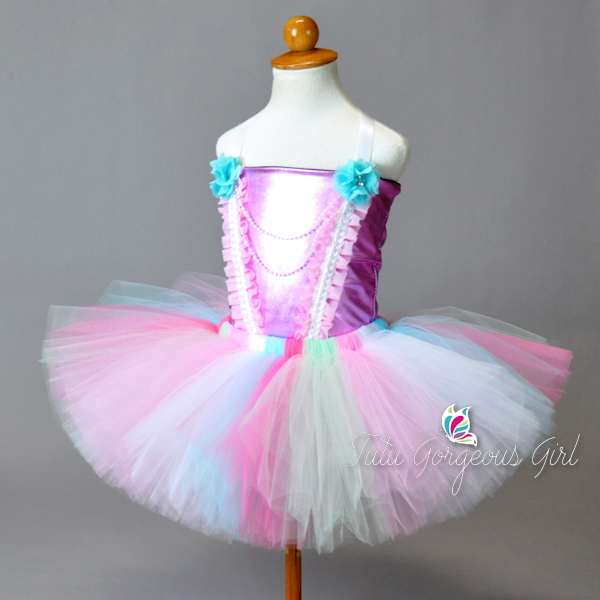 This pastel tutu features light pink, bubble gum, white, aqua and mint tulle. The waistband is made from a super stretchy non roll elastic providing comfort and plenty of growing room. The top is made from stretch metallic fabric, and is embellished with charming pink ruffles, white trim and aqua flowers. The top features ribbon straps that tie behind the neck. The pink fabric is a metallic faux style leather. As it stretches the fabric will take on the appearance of worn leather with soft lines. *Top is only made for size 12 months to 12 years. This unicorn horn headband is hand made to match. The headband features chiffon flowers, a glitter bow and pink metallic horn. The headpiece is held in place by a stretch headband.